As we’ve grown from our original reader and POS software to an ecosystem of tools that help you run your business, we felt it was important to offer you the opportunity to experience these products firsthand before deciding which tools will work best for your business. That’s why we’re excited to announce that we’ve opened the Square Showroom — our first brick-and-mortar location — right in the heart of Manhattan. The Square Showroom lets sellers experience our products in person. 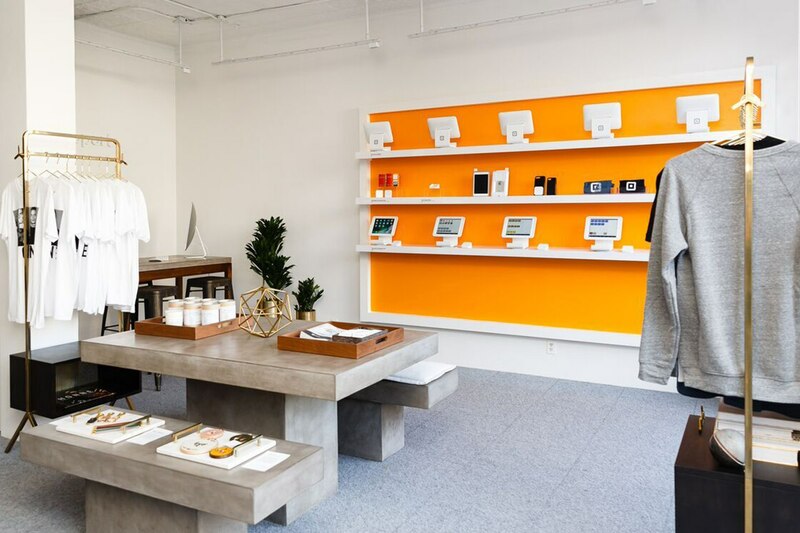 Whether it’s seeing what your POS might look like or demoing products and offerings like Square APIs, Square for Retail, or our many partner integrations, the Showroom gives you space to try before you buy. A support desk where you can make an appointment to meet with one of our staff to troubleshoot a specific issue or get training on a new product. Son of a Sailor: Handmade jewelry and accessories inspired by the application of color, pattern, and geometry to materials with a rich history. Avenue Dee: An accessory brand where #FUNMEETSFUNCTION and fanny packs reign as the brand’s pioneer piece. Koe-Zee: Specializing in fiber arts, specifically cross stitch and embroidery with inspiration pulled from the Pacific Northwest, pop culture, and plant life. 1820 House: Candles created to support agriculture, sustainability, and community. Special events including workshops and events with our partners. So come visit us! Book a private onsite demo with your sales contact. Or book an appointment with our Support team online or via our Square Appointments app for hands-on training and troubleshooting. Weekend hours: 11 a.m.–7 p.m.